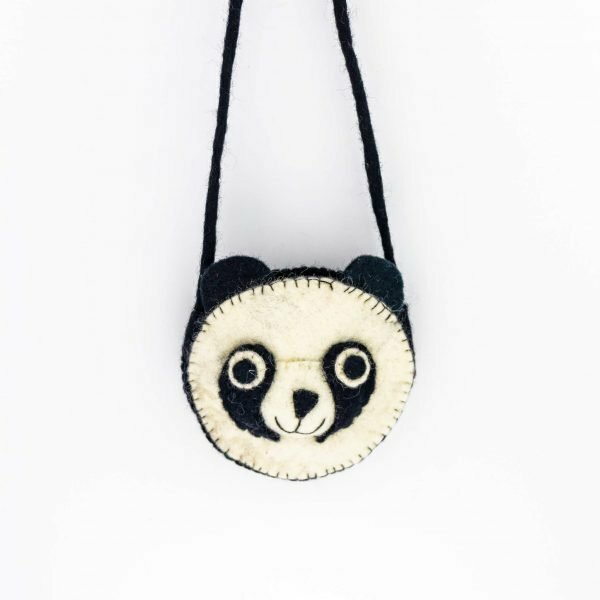 This bag is a pure wool product completely handmade portraying panda’s face to look more attractive. 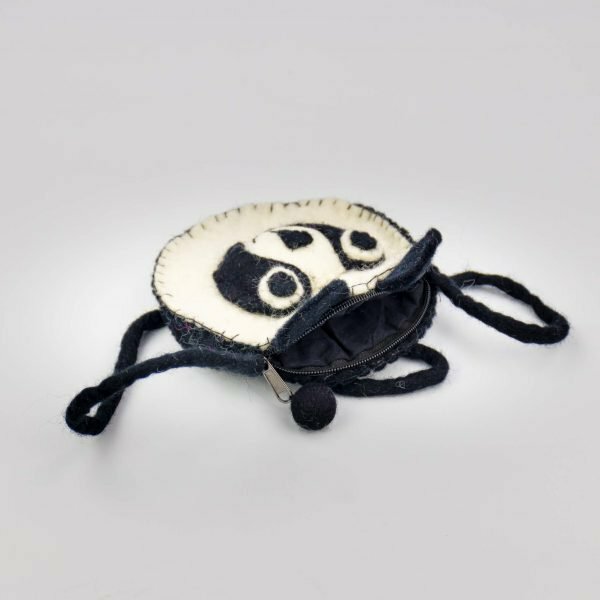 It is a shoulder bag completely lined inside with a Zipper compartment. Measuring 16cm in diameter it is very cute to organize small things. This can be your child’s favorite stuff or your lovely choice to match with any outfits.